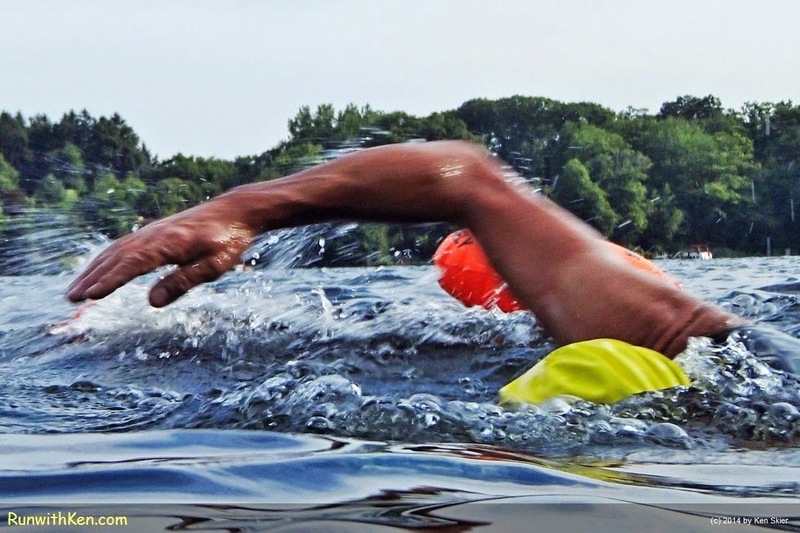 In Open Water Swimming, it's all about the REACH! Reach far...and GLIDE Far! when you run or ride a bike. make you faster in the water! A good swimmer looks almost lazy in the water. Reaching long and low for the far shore. ...and then GLIDING through the still water. Long, slow, and eternal as the waves themselves. as we swam in Lake Singletary in Sutton, MA. I took his picture and we both continued our swim.